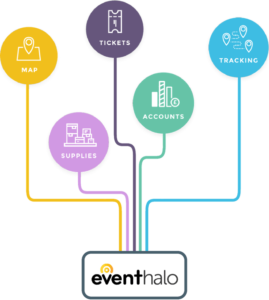 Control and configure accreditation to suit your event: tickets, passes or both, paid or free, from guest lists to complex ticketing with mobile box office. Invite speaker and performer applications, review and process, agree riders and requirements, issue orders and manage payments. Recruit volunteers the easy way, with custom forms, review processes and integrated tickets and passes. Offer merchandise while attendees buy tickets, manage stock, orders and distribution.